If sweet dark florals are your kinda thing, there’s no better time than now. 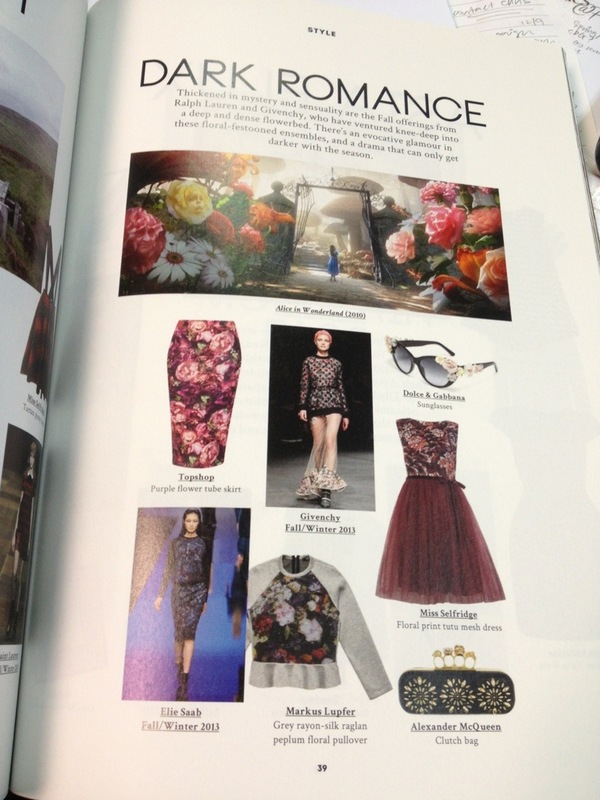 From luxury labels to high street fashion, florals (dark or not) have made appearances on runways and lookbooks. As seen in Ziggy Sept 2013. I know for sure, I’ve gotten my eye on that Ms Selfridge piece. Looks like a pretty frock for a friend’s wedding in Jan which I’ve been appointed as emcee for (oh, horror holly cow!). Can’t say much about the D&G eye piece though.. Having seen the real thing, my main takeaway was that those handcrafted petals spot finger prints and look too much like those clay works on other cheaper items. Next Entry The Challenge to Increase Iron Levels During Pregnancy!